Howdy folks, it's Natalie here today ready to share my latest Evalicious project and hoping to inspire you just in time for a couple of days off to get creative. After working all the way through last weekend I for one am so grateful it's Friday! What I'm also grateful for is a stay-at-home-husband who looks after our girls, who cooks all the meals and who does pretty much all the housework. I'm not sure how we'd survive as a family if it wasn't for him. Now I know it's becoming more common for this 'role reversal' where it's the husband who's the homemaker while I go out and work full time, but occasionally we find we still have to break some assumptions. 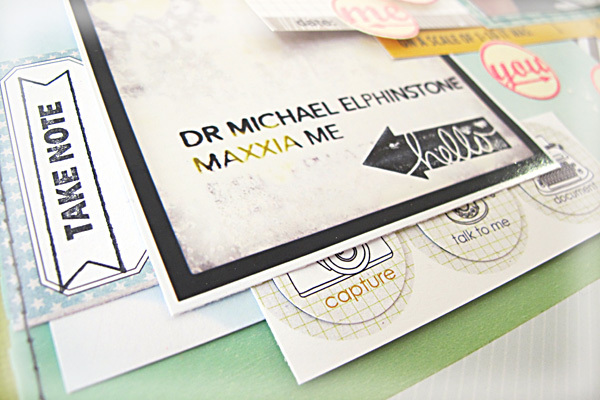 So I wanted to do this layout dedicated to my supportive husband and how we compliment each other perfectly :-) In fact, it all started with those cute You and Me stamps which I stamped repeatedly onto some cardstock and then easily punched out with a 1" circle punch. Scattering them across the page like this reminds me of the the confetti trend which is still popular at the moment, but on a larger scale. By making the stamps in different tones of the same colour, overlapping them, jumbling them up, having them point at one another and generally creating confusion I figured it was the perfect representation of our relationship!! LOL! Awww this is awesome Natalie! 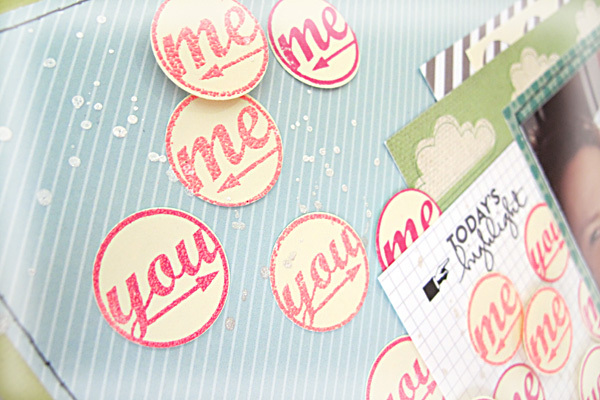 Totally love the idea of the scattered circles!